In less than an hour a day, without any expense and with low impact on your body, you can lose weight. No, this isn't the beginning of an infomercial. 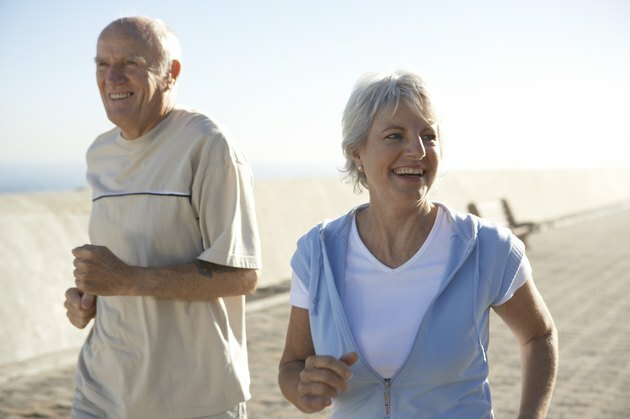 These are a few of the benefits of a three-mile-a-day walking program. You can begin your daily workout now and be on your way to reaching your weight loss goals. Walking is something you already know how to do. You don't have to learn a new activity to burn calories and contribute to your weight loss. On average, a 150-pound person burns approximately 100 calories during a one-mile walk. Three miles a day burns approximately 300 calories a day. You burn more calories if you weigh more than 150 pounds and fewer calories if you weigh less, but 100 calories per mile is an average. Each pound contains 3,500 calories, so if you walk three miles a day, you lose one pound in 12 days. Instead of rushing out the door and walking for three miles, gradually increase your walking distance. Begin with a five-minute warm-up of slow-paced walking and then increase to a pace that leaves you slightly breathless, but able to carry on a conversation. Walk for one mile and then slow your pace to cool down. If you are able to complete three miles at once, do that, but you can also split your workout into two or three walks a day. For example, walk for 1.5 miles in the morning and 1.5 miles in the evening. Focus on your posture as you walk. Keep your back straight and your stomach pulled in tight to support your posture. Your abdominals should feel as if you are zipping up a tight pair of pants. Keep your chin parallel to the ground as you walk with your shoulders pulled down from your ears. Let your arms swing comfortably. Use a natural stride and if you want to increase your pace, concentrate on pulling your back leg forward at a faster speed. As you walk, breathe normally to keep oxygen flowing to your working muscles. A pedometer counts your walking steps, which can help you track your distance. Two thousand steps equals one mile. When you walk 6,000 steps, you know you've covered three miles. A pedometer attaches to your waist band for easy viewing and is not cumbersome as you walk. Your phone may also have an application that tracks your walking distance, and you can buy a watch that counts your steps, heart rate and distance.